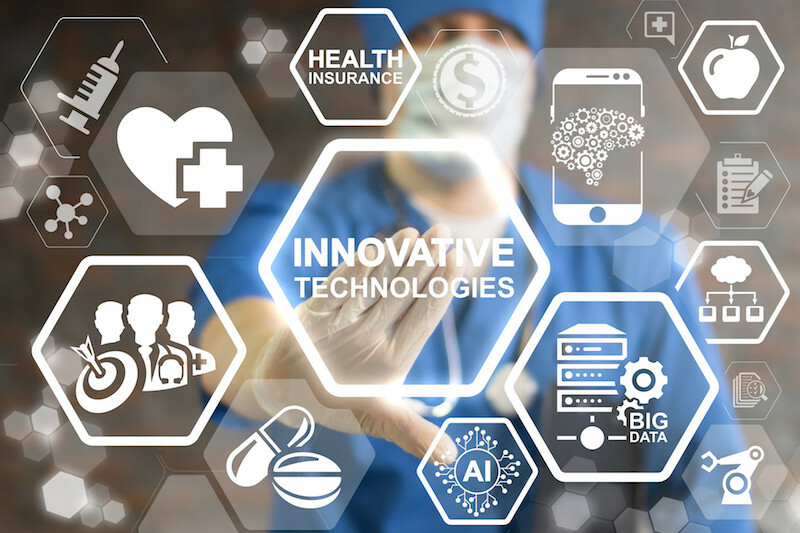 The increasing impact of smart technologies on everyday activities, including the ones directly related to the provision of healthcare services (e.g. electronic clinical records), results in the generation of a big quantity of “real world data“ (RWD). These data are under the attention also of regulators, as they may prove very useful to improve the effectiveness and efficiency of all processes related to the development and use of medicines, from research and development, to regulatory decision-making, from pricing and reimbursement to use in the medical practice. A paper published in Clinical Pharmacology and Therapeutics analyses the possible use of real world data from a regulatory perspective. The paper sees also EMA’s general director Guido Rasi among the authors, together with the heads of three national EU agencies (Portugal, Germany and Denmark), and representatives from the academia, payer, and the Organisation for Economic Co-operation and Development (OECD). Machine and deep-learning algorithms play an essential role to analyse electronic health records and other routinely collected healthcare data. Algorithms are one of the central points towards the true implementation of personalised medicine; on the other hand, the continuous RWD flux entering the system ensures that with every new patient treated, the system itself is learning something new about the practice of medicine. One of the most useful application of real world evidence is the filed of clinical trials, where it might be used to complement the traditional evidence arising from randomised clinical trials in order to speed development. According to the paper, there are still many barriers between the structured research setting and the everyday medical practice. This last one would assume a completely new role under the learning healthcare systems and RWD vision, as data gathered in everyday practice are critical for the generation of new knowledge and answer research questions. A goal that would require a deep restructuring of healthcare systems in order to implement technologies needed to collect data and methodologies to analyse the gathered information. New models of governance are also needed to ensure a better control and protection of personal data, and to manage consent, ethics and data access. According to the authors, a coordinated, international effort including all stakeholders would be needed to accelerate the implementation of the new model of a ‘learning healthcare system’. Electronic health records are currently underperforming and would represent one of the first point to be addressed under the new vision, together with the infrastructures needed to analyse the big amount of collected data. According to the paper, science, informatics, incentives and culture should go together in order to join in a unique process the best practices and the supply of healthcare services. Under the new model, knowledge would be an outcome integral to the supplied experience, and each treated patient would represent an opportunity to learn something new to implement the system. The authors say the barriers still existing between traditional, structured clinical trials and daily medical practice have been historically justified to protect patients from the unknown (and potentially dangerous) effects of the candidate medicines under experimentation. The availability of new data coming from the daily use of experimental drugs might prove useful to obtain insights on the effects on the real world patient population, which is usually very different from the selected cohorts typical of randomised clinical studies. The paper does not make any reference to healthcare and lifestyle data acquired through the use of smart devices. Research setting is the current paradigm for the clinical development of new pharmaceutical products: detailed protocols based on specific targets established by researchers are at the base of each clinical study. According to the new model of learning healthcare systems, care-driven targets would prove more useful to understand the effects of a new drug on the real population. Complexity, costs and a long term perspective to generate data, together with the difficulty to identify rare adverse effects, are among the main limits of the traditional model, according to the authors. Big observational studies would represent a much better tool to identify modest increases of a certain adverse event against the background noise. This would be even more true in the case of innovative, advanced therapies, that are often subjected to post-approval monitoring as the result of the fast track procedures followed to quickly reach regulatory approval. Many cellular or gene therapies might be administered just one time to patients, and adverse effects might manifest even after many years, being thus very difficult to be identified. The use of real world data would allow for a better interception of such adverse effects. Variance analysis of outcomes of the therapeutic interventions across different patients would be also much easier using the real world approach, and it would support the improved identification of the potentially most responsive patients to a certain treatment. An international effort would be needed, according to the paper, in order to overcome the current fragmentation of rules on data protection, informed consent, data access and their ethical use. Secondary use of healthcare data is one of the main issues to be solved, say the authors. All stakeholders should be part of this effort, including regulators, legislators, industry, payers, patients and healthcare professionals. Three possible lines of action are suggested to reach a rapid implementation of the new model, starting with a deep and multi-level debate among the stakeholders, including also resistance elements that are slowing down the transition. Best practices might also be shared at the international level, with a particular attention to the ones in used in countries more advanced in the implementation of the learning healthcare system model.